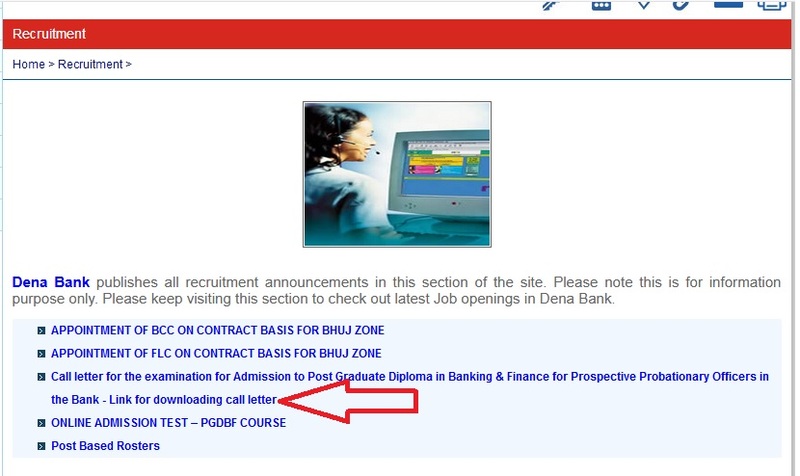 Dena Bank has released the call letter for the post of PO through Admission to Postgraduate Diploma in Banking and Finance Course (PGDBF). The Online written exam will be conducted on 02nd of June 2018. Next Screen will be opened, click on the “Please click on the link for downloading call- letter ” link. 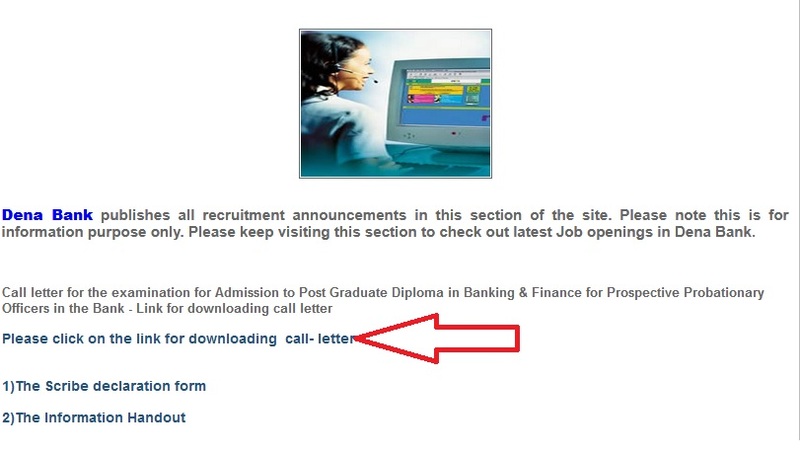 Admit Card download screen will be displayed enter the following details and get your admit card. Step 5 : Click on login button. 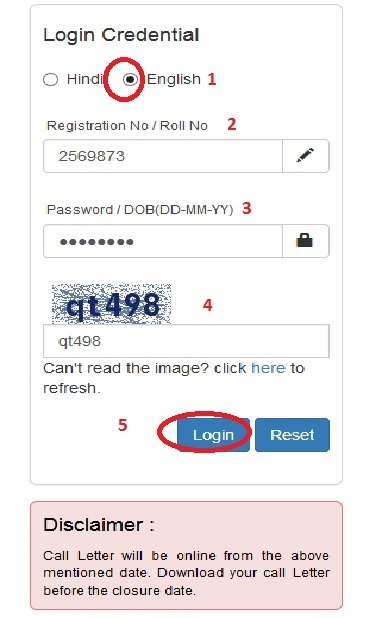 After login, candidates will be able to download and print the admit card. Candidates are advised to check all the details mentioned in the admit card thoroughly and must take a print out of the admit card preferably a colored one. Examination will consist of Objective Tests for 200 marks and Descriptive Test for 50 marks. Both the Objective and Descriptive Tests will be online. Below are given some sample questions for the objective type tests. 2. In each of the following questions, there is a group of letters or words given. Four of the five are alike in a certain way, while one is different. Find out the one which is different. Directions : Pick out the most appropriate word from amongst the words given below each sentence to complete it meaningfully. 1. He quickly glanced ………………………… the book to find what it said about the Indian economy. 2. The counsel urged the court to ……………………… down the obnoxious law. 1. To combat the menace of money laundering, which of the following financial institutions has introduced the ‘Know Your Customer’ Scheme ? 2. Which of the following sectors contributes maximum in deciding the growth in income of the states in India ? Q.21. 42 + 73 + 137 = ? At 10 rupees each, how much will 6 lemons cost ?